"5X" Stronger & Longer, Dries Clear than any other product on the market. 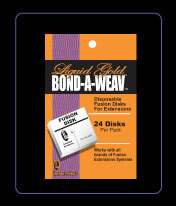 Liquid Gold Bond-A-Weave for Weaves, Fusion and Extensions the Extra Super Bonding and Extension System. 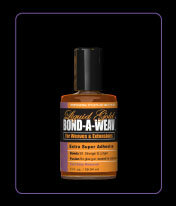 Our products can create the magic and completely transform a women's appearance. 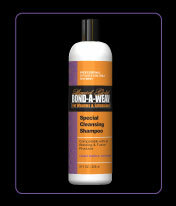 Weave, Fusion and Extensions requires that you take extra special care of your hair. Here are Liquid Gold Bond-A-Weave products that will make it easy fast and safe to take care of your own natural hair and added hair. Liquid Gold is much easier, faster and safer to remove than other brands, even though it bonds much stronger. 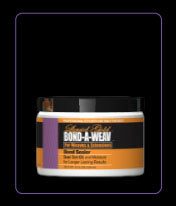 This is because the Liquid Gold Dissolver dissolves the bond instead of just making it wet with oil base solutions that will remove the weft, but leave most of the bonding glue clinging to the natural hair in a pasty, sticky form. This cause hair breakage when you attempt to remove it by repeated combing. Due to the fact that Liquid Gold Bonding system bonds so much stronger, only Liquid Gold Dissolver will remove Liquid Gold Bonder. This remover will also safely dissolve and remove other brands of bonding glue, however other brands will not remove the Liquid Gold Bond.